Welle Studio was formed to deliver a “hometown chic” style to local residents by marrying stylish and unique products for everyday life. Our vision creates a new attitude consisting of local style and modern design. Our motto, "Shop Welle. Dress Welle. Live Welle." promotes a fresh, easy, and fun way to highlight fashion with a comfortable edge. Welle Studio delivers this by orchestrating an array of carefully selected items to evoke the look for any occasion. 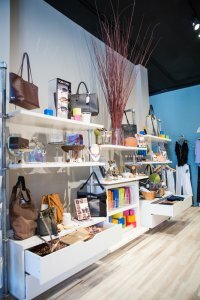 Our retail experience is a visual extravaganza overflowing with items from everyday life including baby, kids, and women's clothing and accessories, to name a few. Welle Studio maintains a level of commitment beyond the retail experience and provides additional services that extend our vision beyond the storefront and into our client’s life. Custom gift and wardrobe consultations and interior design will be provided for anyone who desires our style outside our retail store.